I’ve decided to take advantage of an opportunity for some local exposure and possibly some additional sales. 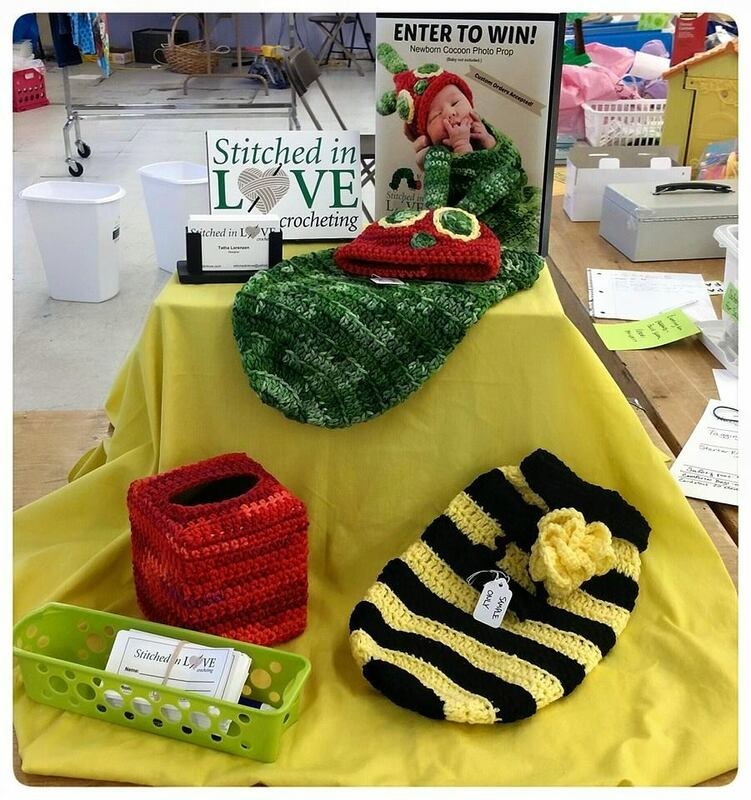 The Northland The Here We Grow Again Children’s Consignment Sale (Kansas City) is this month and I’ve decided to rent a space on their Promo Table. 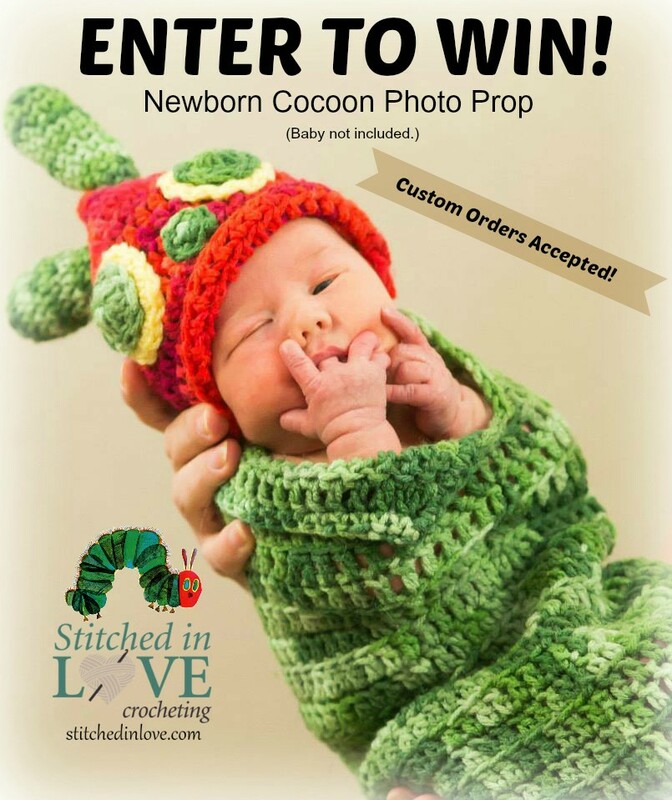 I will have a drawing to win one of my Very Hungry Caterpillar Newborn Cocoon and Beanies, and display some samples of my newborn photo props. So I’ve had to make up some of these props really fast. I already had the bamboo cocoon, and another beanie. I finished the VHC Cocoon for the drawing last night. 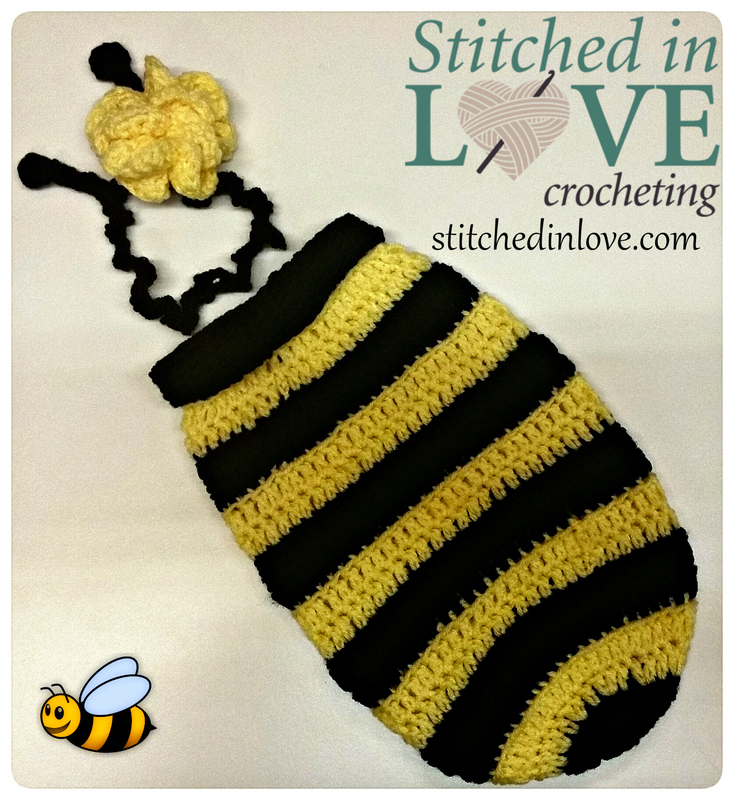 I also made a really cute bumble bee cocoon and wrote the pattern for it. That will be available on Ravelry and Etsy soon. I have started on this adorable mermaid cocoon and if I can get that done in time, I also plan to do a ladybug cocoon. I actually need to have all this done by Saturday. I don’t think I’m going to get the Ladybug done, and the Mermaid is questionable. But in any case, they will all be available to order. After finishing the kids’ Halloween costumes I am taking a short break to read a library book that is overdue – Wild by Cheryl Strayed. The movie comes out in December but I wanted to read the book first. I was going to renew it but it’s on hold by another person so I can’t. I didn’t want to return it before reading it though because I knew that I would never check it out again if I did. I started reading it yesterday and am half-way through it. That’s pretty typical for me. If I start reading something I don’t usually do anything else until I’m done. After my short break I need to make the baby afghan in payment for my logo work. I’ll be creating a new pattern with it so not only will the recipient receive a hand crocheted afghan, but they will also have had the pattern for it designed specifically for them. I think once I get it done and complete the PDF I’ll also send them a copy of it for good measure. I need to get it done and delivered before Thanksgiving. I’ve been thinking about the design I want and looking at some books for inspiration. I know the edging that I want to do but still haven’t decided on what to do for the body. The Ribbon and Cross Christening Afghan is rows of shells so I don’t wan to do that. 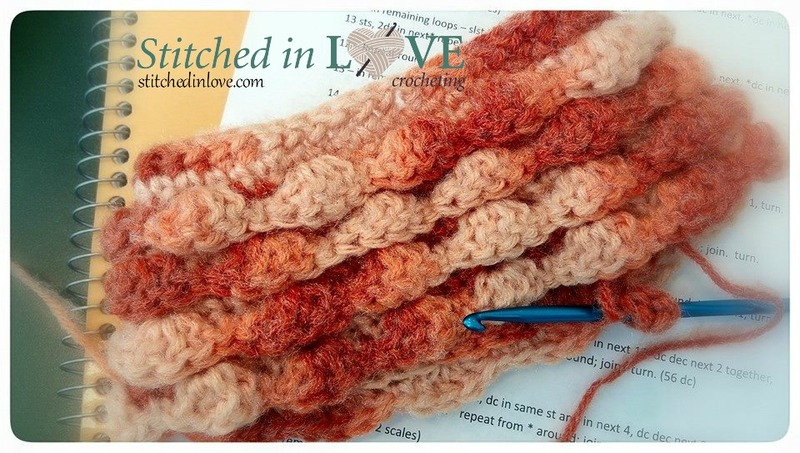 I was thinking about a basket weave stitch, but I’m not sure if that will go with the edging I want to do. So I’m still mulling that over this week as I read. 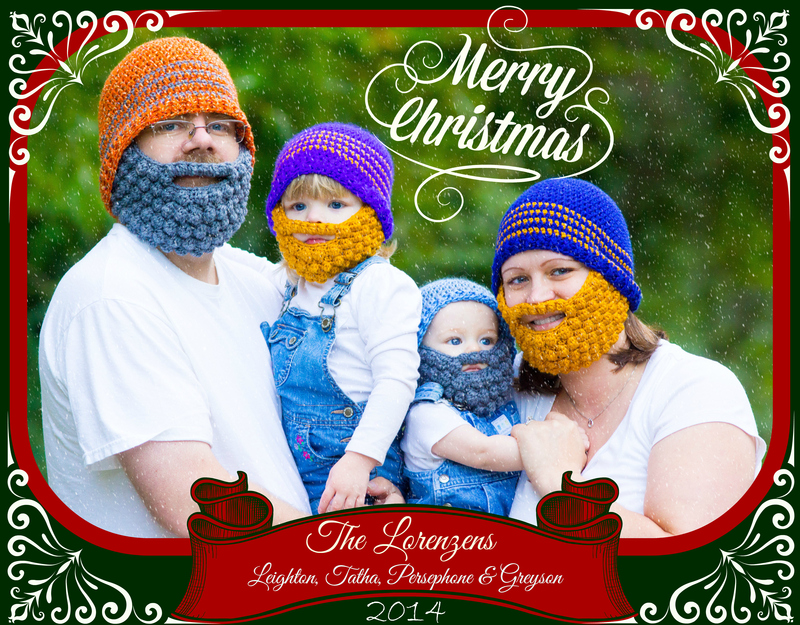 Once I get that done, I think I want to make up a few quick Christmas presents. My poor Granny Square Project keeps getting pushed back. I WILL FINISH IT! Once I get this baby afghan and Christmas presents finished, it’s back to the Grannies until they are done! I have 4 months left of squares to do, which means 8 squares. Then I’ll have the arduous task of joining all those squares. I also have pictures of Halloween costumes that I will post here shortly. I had started to write-up the pattern I created for my son’s costume and want to get that finished and for sale somewhere in there too!